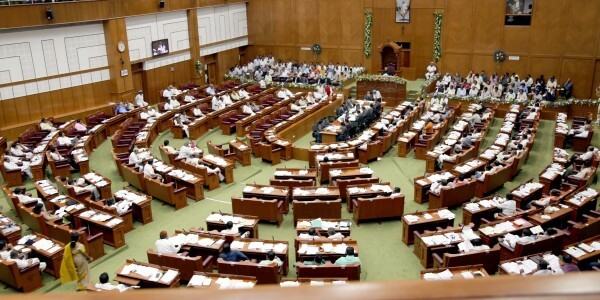 Up to now, 84 Crores have been spent on 8 Assembly session that was held at Belagavi. In all, the session was held for 70 days in the 8 sessions. Bhimappa Gundappa Gadad had filed RTI and has got all these details. Even this was necessary? We already have Bangalore. Give them cow dung to eat, why can’t they lead life like common man be simple. Spend lavishly enjoy being MLA MP get all privileges make lot of money by looting system.. parliamentarians are making country unhealthy hate mongers no gratitude no humble ..
What we are looking the expenditure cost done in above article is a very small scale. Think about in bigger scales. PM & other ministers visit to foreign countries with the delegation & media. Elections rallies, Parliamentary sessions & installing statues all with our hard earned money which we all common men pay as taxes in return no sufficient jobs , no free higher education, poverty growing with inflation rate day by day going up. God forbid when is the time will come that our one rupee equals to at least USD 04.